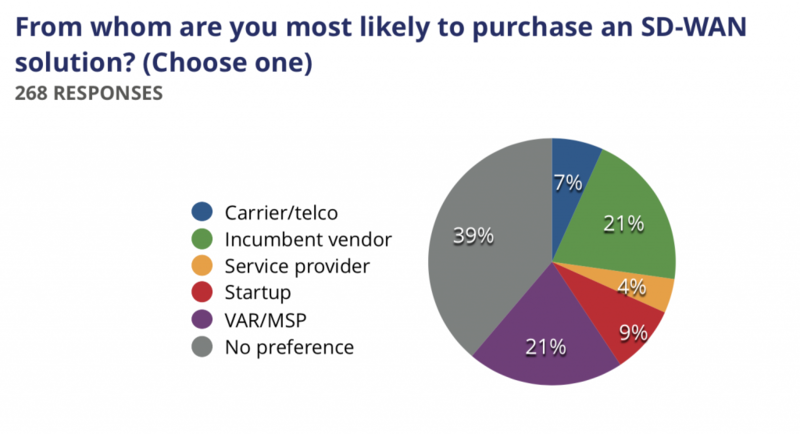 The Packet Pushers surveyed our audience about their deployment or planned deployment of SD-WAN products and services in the spring of 2017. Over two hundred IT pros responded to the survey. We’ve put together the results in a report that’s available with a free membership at Ignition.packetpushers.net. Each survey result in Section 1 includes Context and Commentary. Context discusses the market drivers and technology issues that prompted us to ask the question. Commentary provides a brief analysis of the results. Section 2 covers the demographic responses from the survey, including details such as company size and industry, geographic location, WAN budgets, and spending authority. Of the 272 respondents, 31% are senior network engineers, and another 28% are network designers or architects. A plurality of respondents, 48%, work in the enterprise and another 10% are employed by service providers. Get the full report for free, plus other membership content, when you become a member at Ignition.packetpushers.net. Already a member? You can get the report here.